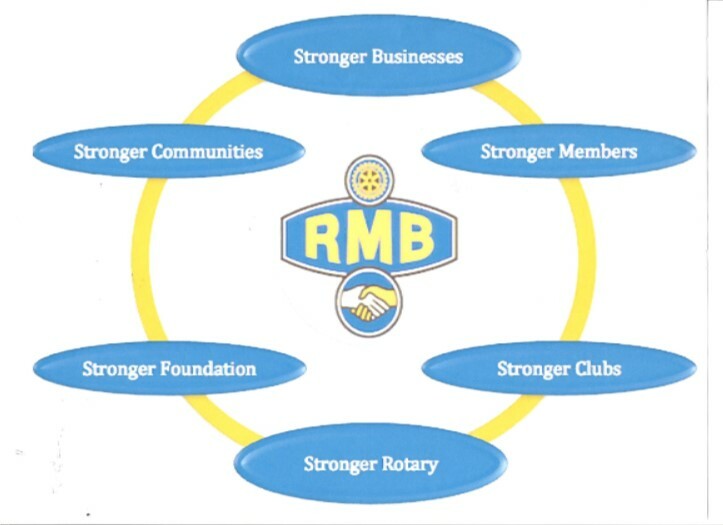 (RMB) is a collaboration of South Central PA business people who believe Rotarians should honor the roots of our great worldwide organization and support one another in business. In 1911, Paul Harris, the founder of Rotary, wrote an article entitled “Rational Rotarianism” which can be summarized as follows: “Life in Rotary should be a rational mixture of business, civic activities, and good fellowship”. We know that prosperous Rotarians donate more time and financial resources to local and international projects than Rotarians who are struggling to make overhead. RMB is designed to increase business opportunities for all Rotarians, and in so doing expand the good work Rotary does worldwide. Did you know that Rotary began as a business networking group by Paul Harris? Did you know that in addition to North America, Rotary Means Business networking groups have formed in such far-flung places as Turkey and Brazil? We encourage each Club to send two or more "movers and shakers" to each RMB event and this includes spouses/partners and potential Rotarians as guests.